Last week we had our first peek at spring and it was glorious! 70s, sunny and low humidity - I could take a few more months of this before the heat and humidity settle in. Grilling last week was a must so I put together a quick marinade for chicken. It was sweet and spicy with hints of citrus - just perfectly light and fresh for a warm day. Mix all ingredients in a bowl and pour over chicken. Cover and place in fridge for 8 hours until ready to grill. 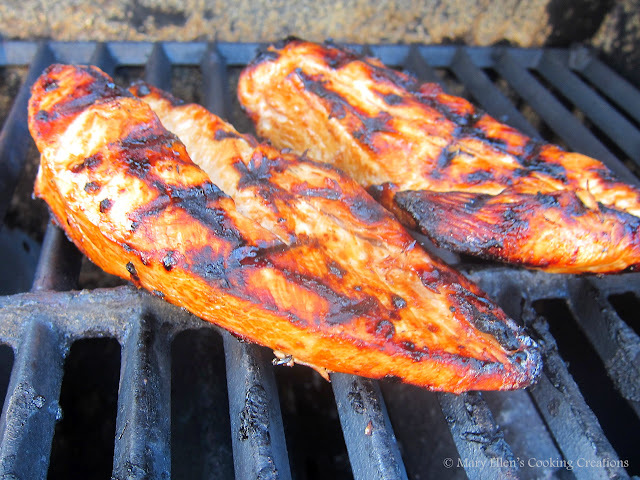 Jon grilled the chicken over medium high heat until the internal temperature reached 165. The marinade caramelized on the chicken a bit, creating a crispy glaze, and the chicken stayed moist on the inside. We let the chicken rest for 10 minutes before eating it. 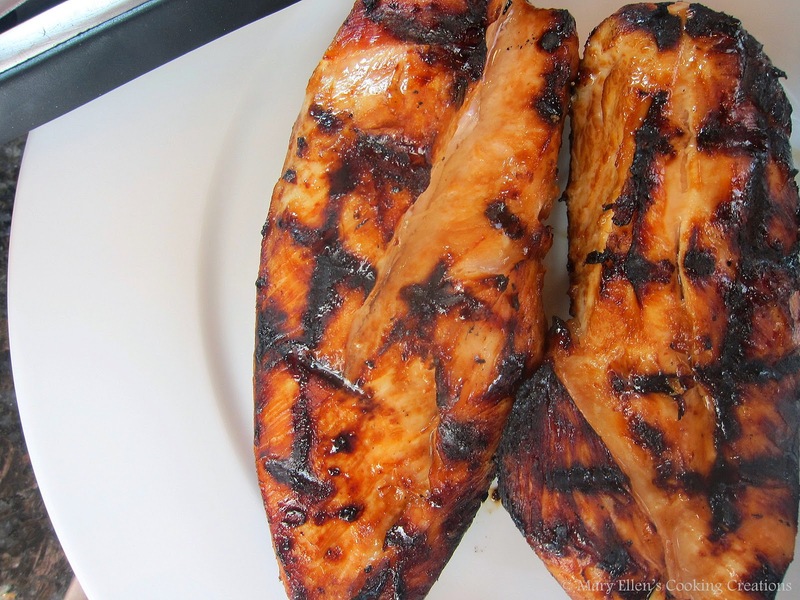 This sounds like the easiest & perfect marinade. I can't wait to try it out!